December is here already and we honestly cannot believe that another year is about to end. Indeed, time flies! December also brings coldness everywhere in the Northern hemisphere. Cold wind, cold rain and snow are the signature weather conditions for this season. If there are any of you who have gotten away with only a thick sweater until now, you’d better take out the jackets and coats because we are expecting a very cold season this year. But what if you have only a warm jacket that gives in to rain and snow without even trying? Not a problem! Today we will be looking at 8 quality jackets by Regatta. This is a previously featured brand, when we have taken a look at some of their jackets in various selections. 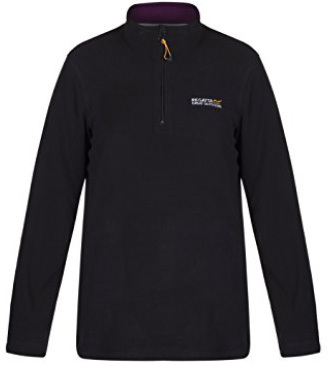 Regatta is a UK brand founded in 1981 and with a reputation for their outdoor clothing, especially softshells. They operate in 55 countries as of this year and are continuously designing and improving their products. 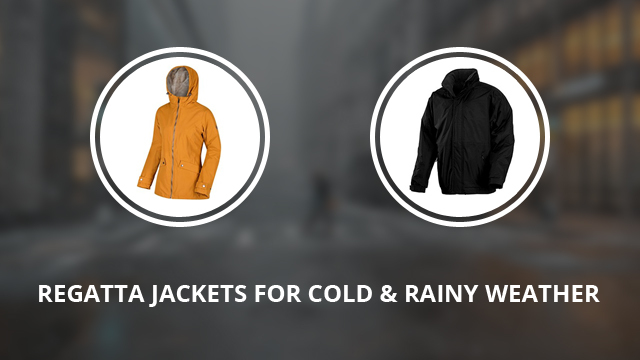 The jackets we have chosen for this particular selection are rain jackets, with a few exceptions. They were designed to withstand moody weather without much fuss and you will see that for yourself in a second. Cera III is a softshell for anyone who enjoys the outdoors. 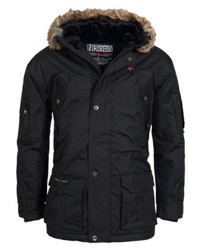 It is a lightweight design that comes with a high collar, without a hood. The outer shell is made of 96% Polyester and 4% Elastane, which helps during movement. The inner lining is 100% Polyester and very breathable. It has been DWR treated, for a finish which repels water by letting it slide off the jacket, rather than pooling on it. 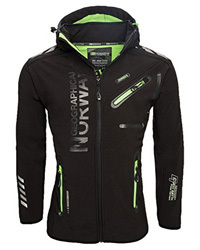 It is also wind resistant and a good option for layering, if you will be skiing or snowboarding. There are two outer zippered pockets, lined to keep the hands warm. The main zipper starts slightly over the hem, which is adjustable. There are many colors to choose from, including: Black, Blue, Navy, Mulberry, Pepper and Dark spruce. Dover is a fleece-lined jacket, which comes with a waterproof outer lining. 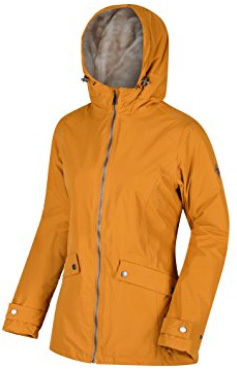 This outer shell is made of HydraFort polyester, which is windproof also. The inner fleece lining is part of the 250 series Symmetry fleece. It is anti-pilling and also highly insulating. Speaking of insulation, the Thermo-Guard insulation in the sleeves also helps maintain body heat better. The sleeves are elasticized and also adjustable by Velcro fasteners. The high collar is lined with fleece on the inside and comes with a hood, which is adjustable. There are two outer pockets and one on the inside and the main zipper comes with a storm flap for protection. The bottom hem is elasticized and there are two colors available: Black and Navy. Pack It II is a great design for light travelers, as it comes with a sack where it packs into. This saves space and you will have a good rain jacket handy whenever you need it. 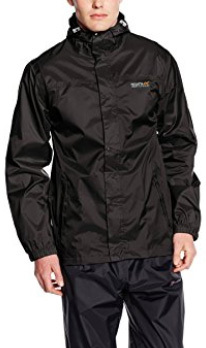 This is a waterproof, windproof and breathable jacket, made with Isolite 5000 Nylon. In addition, it is super lightweight, a great feature for sports. There is an attached hood that rolls under the collar and a storm flap over the main zipper. The sleeve cuffs are elasticized and there are two zippered pockets on the sides. It is available in the colors: Black, Navy, Pepper, Bay leaf and Oxford blue. 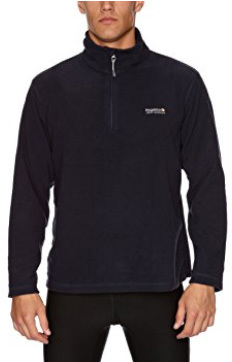 Next we have Thompson, a fleece jacket with a half-zip and short collar. 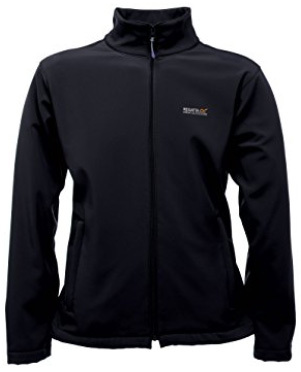 It is made of 100% anti-pill micro fleece, which is soft and insulating. 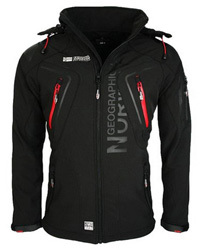 This is a thin layer to wear under a thicker jacket and it will provide plenty of warmth, while also being breathable. The sleeves are relaxed and the cut is straight, which gives plenty of room for movement. It comes in 10+ color options, including: Black, Iron, Delhi red, Seal grey, Surf spray and Oxford blue. For the women’s selection we will begin with Fermina. This winter jacket is made of 100% Polyester and comes with Thermo-Guard insulation, which will keep you warm and cozy throughout winter. The hooded collar comes with removable faux fur trim that will protect your face against cold winds. It is also adjustable and lined on the inside. The outer shell is quilted and made of Micro Poplin, with water-repellent abilities and wind-resistant as well. There are two zippered pockets on the outside and one security pocket on the inside. This is a long jacket that you can purchase in the color: Navy, Black, Dark Khaki. 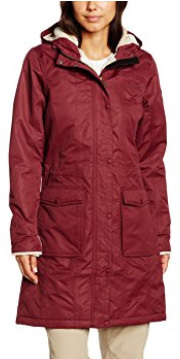 Brienna is a waterproof rain coat, with water repellent finish and taped seams. The outer material is 100% Polyester, with HydraFort shell that gives it all the aforementioned qualities. It is lined with soft furry fleece on the upper body, including the attached hood, which is also adjustable. There are two snap-button pockets on the sides and the main zipper is uncovered, but water-resistant. On the inside there is also a security pocket. The sleeve cuffs are adjustable by snap-button flaps and the waist is slightly cut, for a more feminine silhouette. There are 5 colors available: Camo green, Gold cumin, Black, Fig, Majolica blue. 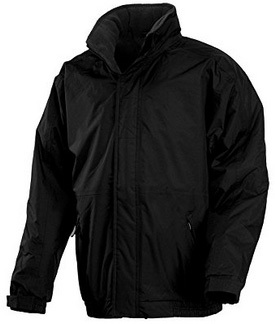 A long and waterproof jacket, Roanstar comes with a 100% Polyester lining and Isotex 5000 fabric. The Thermo-Guard insulation will maintain heat perfectly and there will be no overheating or blind spots on the body. It is thickly lined with teddy fur on the inside of the sleeves, facing and hood. 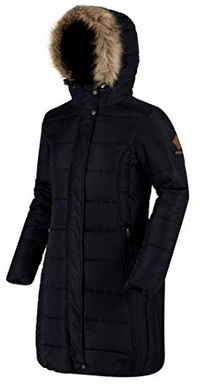 The high collar comes with an attached hood and the main zipper has a storm flap over it. The sleeve cuffs are adjustable and the seams sealed. This is a great everyday choice, in a casual design and with two oversized flap pockets on the sides. It is a lightweight and breathable design that comes in the colors: Dark khaki and Spiced Mulberry. Ending this selection with a fleece jacket for women, Sweetheart is a warm and comfortable choice for both outdoor and indoor wear. The fleece is in two types: on the outside it is anti-pill, while the inside is brushed. 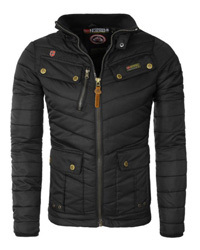 This creates a more comfortable wear, while the anti-pilling quality keeps the jacket in better shape for a long time. It is a relaxed fit, with plenty of room to move around in. Despite being so warm, it is thin enough to layer underneath during colder days. The color selection includes options such as: Blue, Pink, Black, Polar bear, Atlantis, Duchess, Aqua, Fig and Coral blush.